Happy Wednesday, babes! It’s a new week, which means New Arrivals at No Rest For Bridget! This week’s arrivals are some of my ALL TIME FAVORITES for the spring! 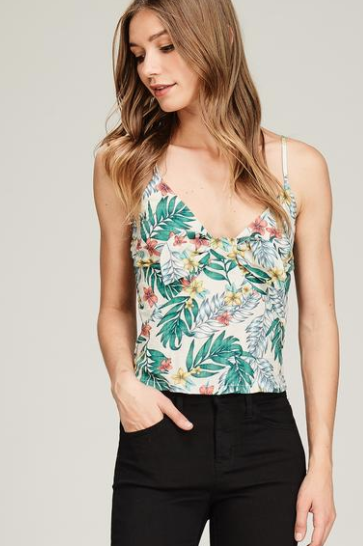 Below, you’ll find a collection of casual, dressy and even some last minute Coachella ideas that I LOVE. And if you love any of the pieces as much as I do, you can use code ‘Spring10’ for 10% off or entire order! 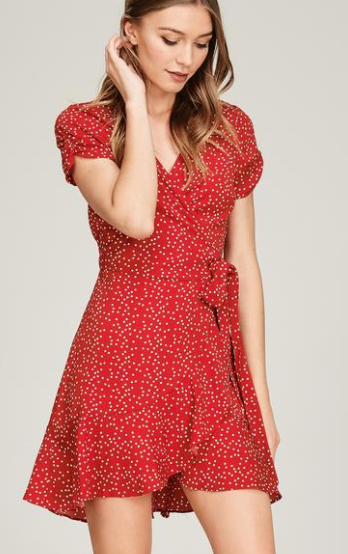 White Polka Dot Side-Tie Mini Dress: Both this dress and the shoes below were featured in yesterday’s Instagram post! 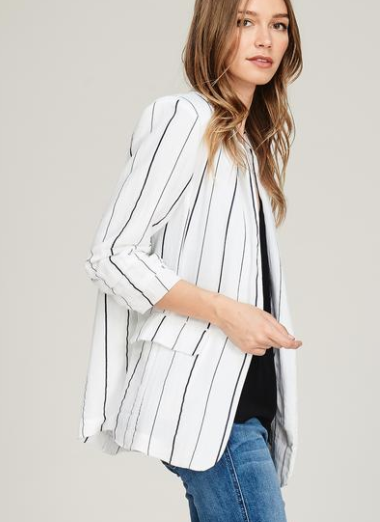 With a white base, subtle black dots and side-ties, it’s the perfect casual summer staple that can be paired with booties and a leather jacket for a night out or mules and an oversized denim jacket for a more casual look. 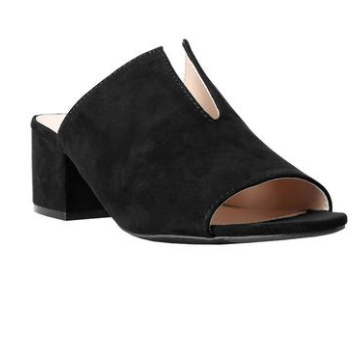 Black Suede Cutout Mules: These look like they’re sold at Free People and they’re only $38.99 – need I say more?? Maxwell Vegan Leather Moto Jacket: Remember the leather jacket I mentioned earlier? 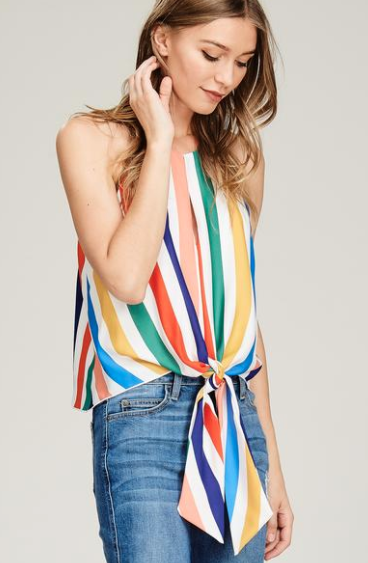 This little number is the PERFECT piece to spice up any casual outfit! 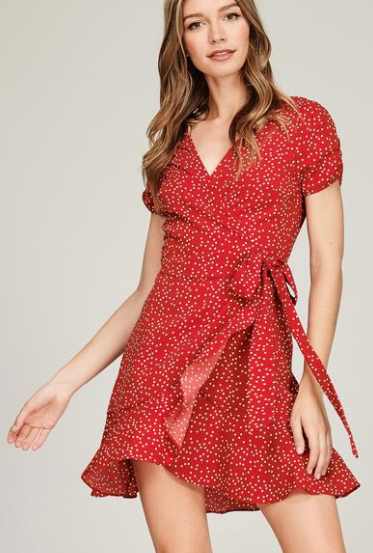 Red Polka Dot Wrap Mini Dress: And if red is more your color (it’s one of my all time favorites) then this dress is calling your name. 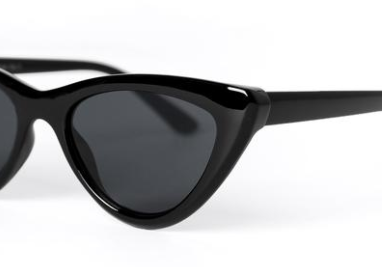 Black Slim Cat Eye Sunglasses: Pair any of the outfits above with these cat-eyed babies and your cool level just went from 100 to 1000. 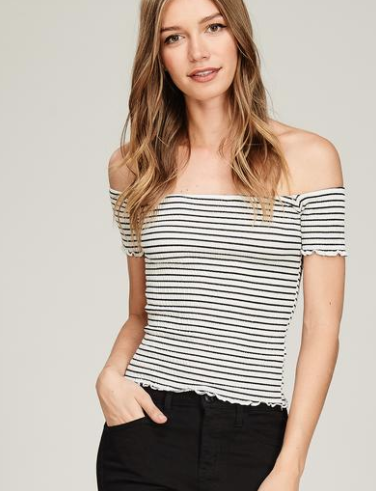 Smocked Off-the-Shoulder Striped Top and the Gray and White Striped V-Neck Tee: Two more tees that would pair perfectly with a leather jacket for a cooler spring day and the cat eye sunnies above to add an extra cool factor. 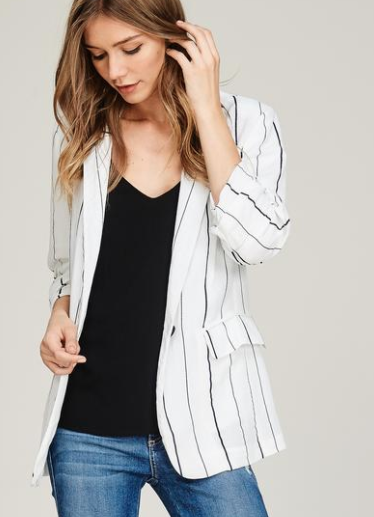 White Striped Linen Blazer – LOVE LOVE LOVE this jacket for the work place or to pair with your favorite white bodysuit, distressed boyfriend denim and white heels! 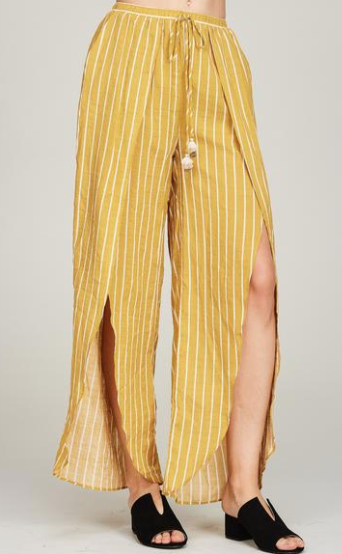 Yellow and White Striped Pants: These pants are like a summer dream!!! 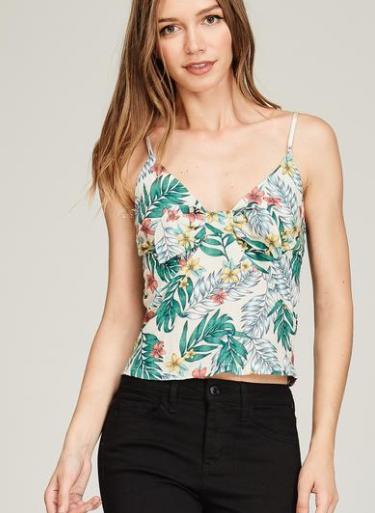 Do you have a tropical vacation coming up?! Because I just picture them over a while bikini, my favorite floppy hat and oversized sunnies for the perfect beach-bum look. 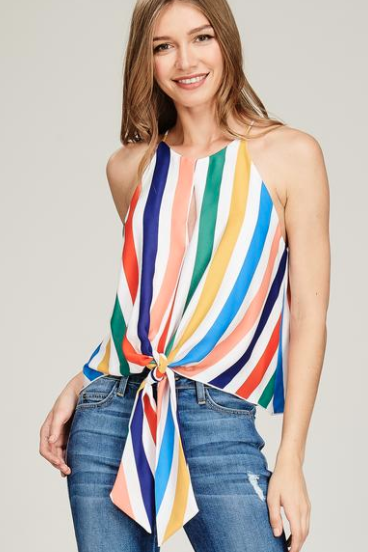 Multicolor Striped Tie-Front Blouse and the Tropical Floral Bow Tie Cami: One of the biggest trends this spring are bold, pops of color and these tops are just WORKING that trend. 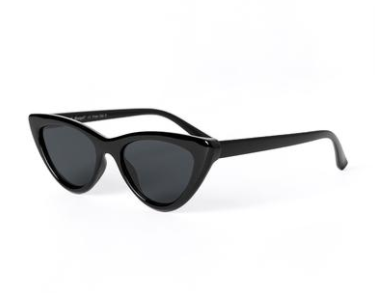 I’m going to wear both of these with my favorite Levi’s and white, chunky heels. 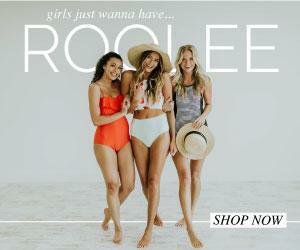 Black Crochet Halter Jumpsuit and the Rust Linen Slip Dress: Headed to Coachella this weekend and still in need of a few last minute outfits? Both the jumper and the slip dress have ‘desert dreams’ written ALL OVER THEM. Throw on an oversized silver necklace, statement earrings and your favorite mule shoes and you’re good to go! Those sandals are SO cute! !